5:20 a.m., hit and run, 25000 block of Interstate 180 West, Loyalsock Township. 5:49 a.m., burglary, 400 block of Allegheny Street, Jersey Shore. 8:41 a.m., harassment, Hepburn Street and Litchfield Road, Williamsport. 12:11 p.m., harassment, 600 block of Hepburn Street, Williamsport. 12:45 p.m., criminal mischief, 1100 block of Packer Street, Williamsport. 2:04 p.m., disturbance, 300 block of Jordan Avenue, Montoursville. 2:58 p.m., trespasser, 100 block of South Fourth Street, Hughesville. 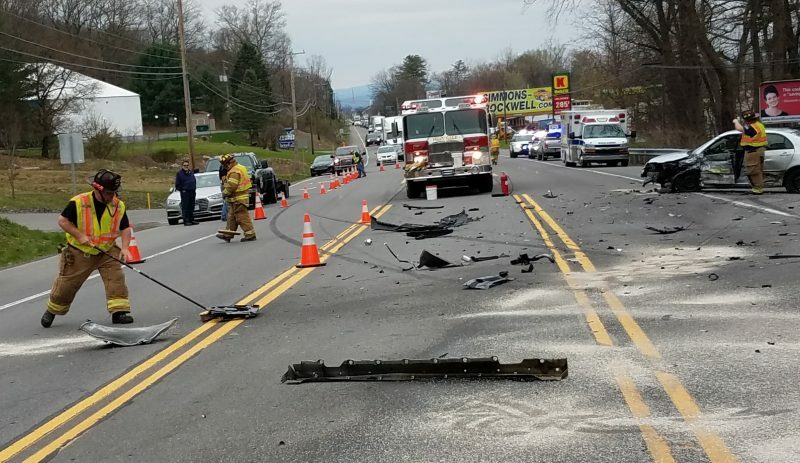 3:47 p.m., reckless/intoxicated driver, 1100 block of Memorial Avenue, Williamsport. 3:52 p.m., theft, 1500 block of Randall Circle, Loyalsock Township. 3:59 p.m., trespasser, 1500 block of Alvin Avenue, Loyalsock Township. 4:36 p.m., harassment by communications, 200 block of Mount Pleasant Avenue, Jersey Shore. 5:05 p.m., harassment, 600 block of Campbell Street, Williamsport. 6:57 p.m., disturbance, 1400 block of Allegheny Street, Jersey Shore. 8:48 p.m., disorderly conduct, 300 block of Allegheny Street, Jersey Shore. 10:51 p.m., disturbance, Mulberry Street and Washington Boulevard, Williamsport. 11:15 p.m., disturbance, 100 block of Crescent Hill Road, Hepburn Township. 11:19 p.m., disturbance, 900 block of First Street, Williamsport. 11:53 p.m., stabbing, 600 block of Court Street, Williamsport.